In the Marper case, the question arouse whether DNA evidences of suspects, including “applicants’ fingerprints, cellular samples and DNA profiles”who were later proven to be innocent, need to be destroyed by the law enforcement authorities. (Chamber 29). Apparently the applicants believed that retaining these in National DNA database, could be construed as a invasion of privacy rights guaranteed under Article 8 and non- discrimination under Article 14 of the same ECHR. “The ECHR has ruled that the current UK Government policy breaches Article 8 of the European Convention on Human Rights” (Wtwuon). Besides the main aspect that needs to be considered is whether the DNA samples of people (later proved innocent) extracted under rules formed under the controversial Prevention of Terrorism Act 2005 would also come within its purview or not. (Statutory Instruments 2006 No. 2015 Defence: The Police and Criminal Evidence Act 1984 (Application to the Armed Forces) Order 2006). Would the Courts’ decision in the CASE OF S. AND MARPER v. THE UNITED KINGDOM (Applications nos. 30562/04 and 30566/04) be viewed as a compromise on the actions of law enforcement agencies and their powers used for the purpose of national security, inter alia, under Section 64(1A) of the Police and Criminal Evidence Act 1984. It is believed that this decision could have wide reaching consequences, in that this could also impact the Human Rights Act of the United Kingdom. Besides, the seriousness of the alleged crimes would also be a major consideration for removal of DNA records from the National DNA Database. What would be the basis on which this destruction would be carried out, especially in case of innocent people who have been issued warnings, or subpoened in other cases? Again, this being European Court Ruling, not a UK Court one, there is need for maintaining standard norms in consonance with EU Directives. Perhaps one of the most compelling counter arguments would be if the need for reinstalling the destroyed DNA records would crop up in future, especially for offences under anti- terrorism laws. The solid evidence in terms of samples of physical characteristics of people (including suspects) that could be material evidence in a Court of Law is being destroyed, and is irretrievably lost. Whether the issue of national security, public and private interests of the country as a whole needs to be subservient to professed individual human rights and preservation of alleged privacy is indeed a matter of argument. “Another consequence of the S. and Marper decision is that states must treat minors separately from adults, given the special needs of minors in the criminal justice system” (Koops and Goodwin). It is necessary that the law is clear and cogent about the need to protect innocent sections of People in a free society, while at the same time, punish offenders in commensuration to the extent and degree of that crime. But the law cannot overstretch itself in its over eagerness to delivery justice who could, in effect, also tread on the human rights and dignity of innocent people. While deterrent laws are needed, they need to be used with discretion and judgement of the highest order, since it is possible that through legal misinterpretation, the innocent could be punished and the offenders be exonerated. Perhaps this would surmise the present case wherein two innocent people were subjected to callous treatment during the course of duty of law enforcement officers, notwithstanding the fact that the maxim says that suspects are believed innocent until they are proved guilty. In this case what could have happened is that the suspects were believed guilty until they were proved innocent. There is need that miscarriage of law should not occur, especially if it were to be in the case of proven innocent people. The law enforcement and all agencies connected with law and order should not only refrain from overstepping legal directives, but should also be fully certain that true justice is being carried out, both in words and actions, before taking strong measures. But this does not necessarily mean that all suspects should be treated as innocent, nor the course of law compromised, to accommodate actual offenders. “The basic fact is that data protection/privacy law itself is so potentially all-encompassing in the “protections” which it grants (and, of course, the responsibilities and restrictions it thereby, and additionally, enforces) as to be a great menace to human rights” (Erdos). Chamber, Grand. Case of S. and Marper v. the United Kingdom, 2008. (Provided by the customer). Erdos, David. Modern Liberty: Privacy Versus Freedom: Will Data Protection Inhibit Basic Rights? OurKingdom: Power & Liberty in Britain. 23 Dec. 2008. Web. 10 Feb. 2010. <http://www.opendemocracy.net/blog/email/david-erdos/2008/12/22/britain-s-data-protection-regime-how-compatible-with-modern-liberty>. Koops, Bert-Jaap, and Goodwin, Morag. S. & Marper: Strasbourg Sets Limits to DNA Databases. TILT Weblog Law & Technology. 3 Mar. 2009. Web. 10 Feb. 2010. <http://vortex.uvt.nl/TILTblog/?p=5>. Statutory Instruments 2006 No. 2015 Defence: The Police and Criminal Evidence Act 1984 (Application to the Armed Forces) Order 2006. 31 Dec. 2006. Web. 10 Feb. 2010. <http://www.opsi.gov.uk/si/si2006/20062015.htm>. Wtwuon. ECHR Judgement on the Marper Case – Rules that UK Government and Police Indefinite Retention of Innocent People’s Tissue Samples, DNA Profiles and Fingerprints is Illegal. Spy Blog – SpyBlog.org.uk. 4 Dec. 2008. Web. 10 Feb. 2010. <http://p10.hostingprod.com/@spyblog.org.uk/blog/2008/12/echr-judgment-on-the-marper-case—rules-that-uk-government-and-police-indefina.html>. We can’t tell how eager we are to help you out with your essay. 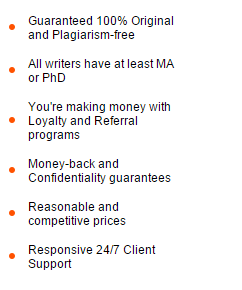 Trust us for any kind of essay. Even if you have more than one essay to write and don’t have much time, we can write to them both for you. Simple talk to us and tell us, “write essays for me.” Just make sure your instructions are full and appropriate, and we can write as many numbers of essays for you as you want. Reach us online now.